This is Jon aka Scooterjon from North Dakota, USA. I write posts and a blog at scooterjon58.com. My blog is about my disease which is Multiple Sclerosis (MS). I was diagnosed in ’91 at age 33. In January of 2000 my MS started to get progressively worse. Then in November of 2011 my MS turned into a real life changing disability. My neurologist now considers me to have Primary Progressive MS (PPMS). More MS lesions were found on my spinal cord in October/November 2011. Those lesions are now disrupting all of the body functions below my waist including standing, walking, bowels, bladder and balance. In November of 2011 Multiple Sclerosis took the use of my legs. I can’t walk or even stand up for that matter. I was just 53 years old. I’m happy though and I enjoyed those 53 because I put alot of miles on my legs. One thing I never ever thought about since I’ve been dressing myself. You need to be able to stand up to put on jeans or trousers! My wardrobe is now T-shirts, sweatpants for winter, shorts for summer and underwear. This is the way I now put on my clothes. I sit on my couch or bed, get my feet in the leg holes, then I lean to the left and pull up, then to the right and pull up. I usually have to go back and forth two or three times before my leggings are up completely. My pride takes a hit though because my wife has to help me dress 90% of the time. Many times I’m too fatigued to even lift my arms. ** If you have dizzy or vertigo problems going back and forth could make that symptom worse. I figure my legs are 40 pounds of dead weight. They are absolutely useless! I can’t pick up my feet anymore. I have to use my hands and arms to move my feet anywhere. Even to move them an inch! I figure I have to move my feet at least 100 times a day. I always thought the loss of my legs was the worst thing MS could do to me. However, in July 2016 I started losing control of my bowels. Losing control of my bowels has really messed my head up. To clarify, I know when I’m going to have a BM but I have to be on my toilet in about 45 seconds including transfers. If I’m not rushing to my toilet I’m usually constipated. I’ve had anxiety problems for a long time but losing control of my bowels has made my anxiety even worse! Not knowing when I’m going to have a bowel movement has also turned me into a part-time recluse. I spent the winter of 2018 inside my apartment which I know isn’t good for me, either. I turned 60 in March of 2018. I figure and I hope that I have 20 or so years left. After being a coordinated athlete my entire life sometimes it’s hard to admit that I’m now considered a disabled person but I am. After 27 years with MS I have alot of information and stories to tell. 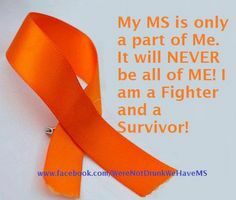 I want to help others with MS and also newly diagnosed people. I want to inform them what might happen to them. I’m happy to do this as I’m an open book! I have to admit though, it’s still hard watching your body falling apart right before your eyes! Leads and Earn Daily Cash. Click above!